Roger Federer born 8 August 1981 is a Swiss tennis player, widely regarded to be the best tennis player of all time. In a remarkable career, he has won 20 Grand Slam titles and reached the finals of all major grand slams at least five times. During the period 2004 to 2008, he was world number one for a record 237 consecutive weeks. He has won the Stefan Edberg Sportsmanship award (voted by players) a record thirteen times. He also supports several charities and is an ambassador for UNICEF. Federer was born in Basel, Switzerland in 1981. 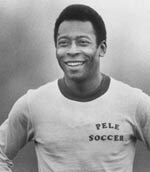 As a youngster he grew up loving all sports which involved the hand eye co-ordination of a ball. He played football, badminton and basketball and even calls himself an avid cricket fan. Although he played several sports, he began received coaching from the age of ten from Adolf Kacovsky. Kacovsky remembers that Federer had tremendous natural talent ‘He seemed to be born with a racket in his hand’ But, even so, when the young Federer said he wanted to be the best player in the world, people would laugh (including himself) Despite Federer’s unbounded talent, he was temperamental on the court, he himself says he was a bit of a ‘hothead’. However, Peter Carter, an Australian coach spent considerable time telling Federer how much energy he was wasting getting annoyed with himself. Over the teenage years, Federer learnt to control his temper. He is now regarded as one of the calmest tennis players. In 1998, he won the boys Wimbledon tournament, aged 17. That year he also made it to the final of the US Open. Joining the senior ATP tour, Federer made steady progress. He made his first final at the Marseilles Open in 2001 and won his first title in 2001 at the Milan indoor tournament. In 2001, He also rose to prominence in the public’s mind by beating four-time defending champion Pete Sampras to reach the quarterfinals. In 2002, his beloved junior coach Peter Carter died (in a car crash in Africa). Federer said his death was very traumatic but it provided a motivation to remember and implement his advice to be a better player, but also a better person and calmer when defeated. 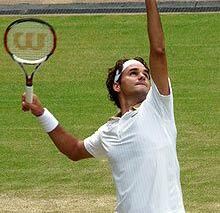 In 2003, Federer confirmed his nascent talent by winning his first grand slam title at Wimbledon. He ended the year as world no. 2 – just behind Andy Roddick. The next year, Federer began to dominate the men’s game like no one else for a long time. He won three Grand Slam singles titles (the first to do this since Mats Wilander in 1988) Unsurprisingly he ended that dominant year as world number one. A position he was to keep for the next four years. In 2011, Federer had a relatively lean year – failing to win a grand slam for the first time in several years. Federer faced increased levels of competition from Rafa Nadal and an improving N Djokovic, Andy Murray. In 2012, he returned to form at Wimbledon, winning his 7th title on grass. He also won a silver medal in the Olympics (losing to Andy Murray) and gold in the doubles. In the past few years, Federer’s rate of career milestones has slowed down, but he continues to be one of the great tennis players of the era – despite also showing human limitations. Federer has also displayed great versatility and great perseverance, in a career spanning over a decade. Jimmy Connors has paid tribute to Federer’s versatility and ability to play on any surface. Federer is widely regarded for having the complete all-around game – power, finesse, a full range of shots, and excellent footwork. He methodically looks at opponents to evaluate weakness in their game. Through tournament winnings and endorsements, Federer has become one of the best-paid sportsmen of the current era. Forbes rank Federer as number two in terms of top-earning sportsmen. Federer supports a number of charities, founding the Roger Federer Foundation to help disadvantaged people through sports in 2003. He was also appointed a goodwill ambassador by UNICEF in 2006. Citation: Pettinger, Tejvan. 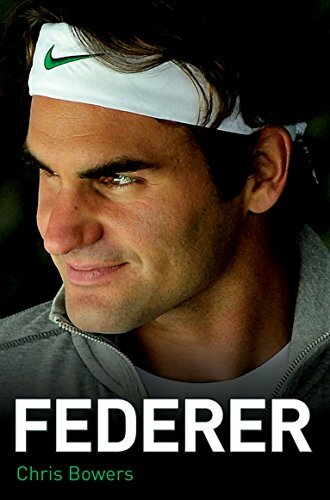 “Biography Roger Federer”, Oxford, www.biographyonline.net, Published 21st Oct. 2013. Last updated 18 February 2018. 100 Famous sporting personalities – 100 Famous sporting personalities, including Muhammad Ali, Nadia Comaneci, Pele and Jesse Owens. People of the Twenty-First Century (2001 -) Politicians, musicians, authors, scientists and sports figures of the New Millennium.